The Ghauri ballistic missile (centre) on display at the IDEAS 2008 defence exhibition, Karachi, mounted in its launch mechanism on the transporter erector launcher (TEL). For the first time since 2012, Pakistan tests a nuclear-capable medium-range ballistic missile. The Pakistani military successfully test-fired a medium-range ballistic missile (MRBM) this Wednesday, AFP reported. The nuclear-capable Ghauri MRBM (aka Hatf-V), developed by Khan Research Laboratories under the Pakistani-integrated missile research and development program, is allegedly a variation of North Korea’s Rodong-1 missile. The test was conducted by the Strategic Missile Group of the Army Strategic Forces Command (ASFC). “The training launch of the Ghauri missile system was aimed at testing operational and technical readiness,” the military said in a statement. The head of the Strategic Plans Division, Lt. Gen. Zubair Mahmood Hayat, congratulated the scientists, engineers, and all ranks of the strategic forces, expressing his satisfaction with the “excellent standard” displayed by Pakistan’s strategic forces. It appears that the test involved a Ghauri-I MRBM with a range of 1,300 kilometers (807 miles) and the capacity to carry up to a 700 kilogram conventional or nuclear warhead. The missile was launched from a transporter erector launcher on the Tilla Test Range in Jhelum District, Pakistan, according to army-technology.com. Pakistan also fields the Ghauri-II MRBM, with a maximum range of 2,300 kilometers. The development of a third variant, the Ghauri-III, with a range of up to 3,000 kilometers, has been abandoned for unknown reasons. 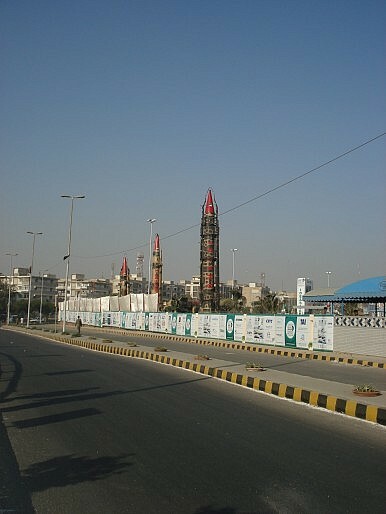 The last test of a Ghauri MRBM occurred in November 2012. Unlike solid-fueled missiles, liquid-fueled ballistic missiles cannot store the fuel for long periods and have to be refueled prior to launch, which takes several hours, thus making them vulnerable to first strikes. Given the relative lack of Pakistan’s strategic depth, such systems are not the first choice in missile systems for nuclear warhead delivery, which explains why the Ghauri remains the only liquid-fueled system in its missile inventory. However, testing liquid-fueled missiles is a cheaper alternative to solid-fueled MRBMs when testing launch and control systems, he acknowledged. Islamabad did not have to wait long for New Delhi’s reaction. The following day, April 15, the Indian Army’s Strategic Forces Command successfully tested the nuclear-capable Agni-III surface-to-surface missile from Wheeler Island, off of the Odisha coast. AFP reports that tensions between India and Pakistan are higher than usual since last Friday, when Islamabad released on bail Zaki-ur-Rehman Lakhvi, the alleged mastermind of the 2008 Mumbai attacks. Blocked F-16 Deal: Pakistan Threatens to Buy Chinese or Russian Fighter Aircraft US Won't Subsidize Pakistan's Purchase of F-16 Fighter JetsWill US Congress Stonewall F-16 Sale to Pakistan? US Will Sell 8 F-16 Fighter Jets to Pakistan The Indian Air Force's Big Problem: Not Enough Pilots!